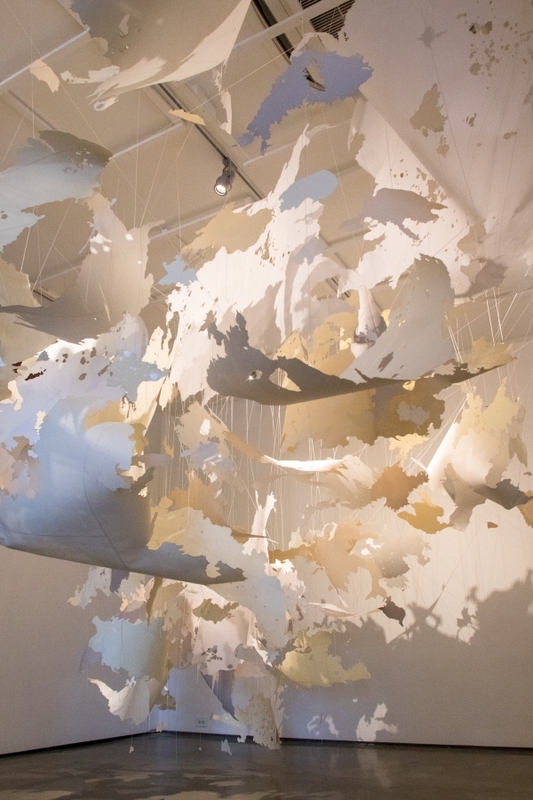 Val Britton's site-specific installation piece, "Upper Air" is made of paper, string and ink and is currently housed in the Glass Gallery at the Palo Alto Art Center. Photo by Veronica Weber. © 2019 Mountain View Online.